He had a shoulder injury earlier in his career, right? Don't remember exactly, but he was only a 20-25 start guy his first couple years in Seattle. ... and who was his daddy? JLB had his own pre-game show in the '60s. Who is referenced by the JLB on the Pirates' sleeves? i just looked into the deal, crappy seats, far RF and LF corner and RF mezz. ... and the young guys are playing. yeah, I suspect we're looking at our 2011 starting infield tonight. It's nice of you guys not to cheat. I don't know the answer, I immediately google it, then disqualify myself. I like 108 and 137 both. Clear view of the field that some other sections (101 specifically) don't have. I was always amazed that Yogi was in left field. Geeezus .. a perfect night with Phil Wood on the post game. 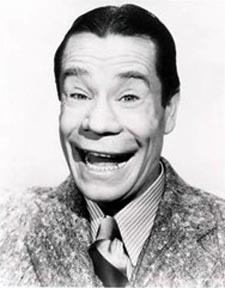 JLB ... Joe L. Brown ... GM of the Pirates ... his daddy was Joe E. Brown (comedian). Pirates trivia from an old Pirates fan who is now a Nats' fan. As Bob Prince (old Pirates' announcer) used to say, "We had 'em all the way." No double-switches AND no defensive substitutions! Well, the defensive subs are already in. Plus, to be fair, if you are up by 5-8 most of the night, the thrill of a double-switch just isn't there.